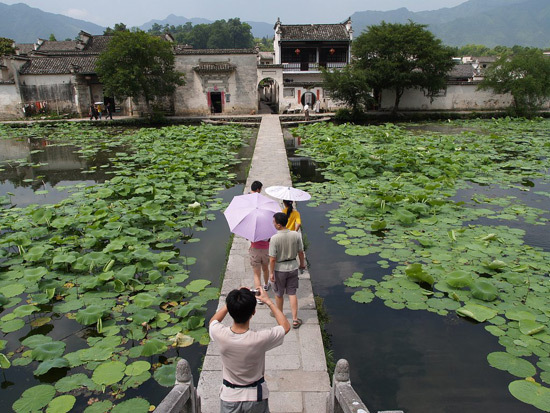 Hongcun Village Pictures will show you the special of China ancient Village. The village now boasts 158 dwelling houses dating back to the Ming (1368-1644) and Qing (1644-1911) dynasties, nearly 140 are still in good condition. It has always Enjoyed the name "a village in the Chinese painting". When you make a Huangshan tour, remember to visit it!